Having last year spot-lit the club’s tomorrow tracks with their Mixmag Album of the Month ‘Goodgreef Future Trance’ album, this month sees the north-of-England’s Goodgreef mix-comp-commemorate their F15teenth anniversary. To get the revelry underway, they’ve enlisted the help of three DJs - each of whom symbolises the GG musical code to a tee. 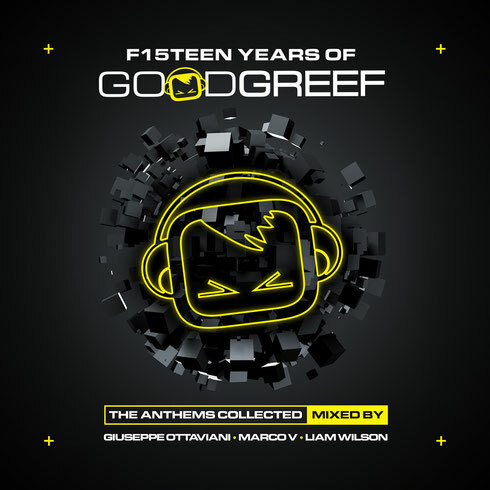 Giuseppe Ottaviani, Marco V and Liam Wilson have compiled and mixed three discs, capacity-full with Goodgreef anthems. Including 55 GG channelling tracks, the mixes encapsulate the club’s experience at its hard rockin’ trancey, techy, proggy best. Inside the mix-comp’s mainframe you’ll find audio from artists such as Aly & Fila, Solarstone, Paul Oakenfold, Alex M.O.R.P.H., Judge Jules, Menno de Jong & Talla 2XLC, Max Graham, Sean Tyas and others besides. A wealth of classic GG-defining cuts and remixes abound too, from Cosmic Gate, Active Sight, DJ Ton T.B, Andain, Michael Woods, Scot Project and more. Also finding their way under the trio’s lasers’ are the latest from newer-comers Will Atkinson, Sneijder, Alex Di Stefano & Chris Metcalfe to mention a few. There are also lots across the three discs from Giuseppe, Marco and Liam too! An express ride to the north side, ahead of the club’s anniversary this October, ‘F15teen Years Of Goodgreef’ drops its own brand of science on 28 September. You can catch the trio DJ headlining the club’s 15th birthday party on 10 October at Manchester’s Victoria Warehouse.